ALBANY – James B. 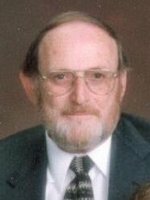 “Brad” Coffey, 75, of Albany, died Saturday, March 17, 2012 at the Eddy Village Green in Cohoes. Brad was born in Portsmouth, NH, the son of the late James and Rose Giardino Coffey. He was raised in Castleton, NY. He was employed for a time by the A&P Supermarket in East Greenbush, and then was employed for many years by the former Fort Orange Paper Co. in Castleton. He was an active member of All Saints Catholic Church and the former St. Margaret Mary’s Church. He loved attending musicals and going to garage sales and helped each year with the church garage sale. He also was a devoted gardener and a member of the Albany Mens Garden Club. He was well known for his fabulous vegetable and flower gardens that he started each year from seed. Brad is survived by his beloved wife Josephine “Jo” Harper Coffey; his sister Shiela R. Rose of East Greenbush; his brother in law Franklin Bridenbeck of East Greenbush; and by many nieces and nephews and many beloved friends. He was predeceased by his sister Joan Bridenbeck. Funeral services will be held in the Hans Funeral Home, 1088 Western Ave., Albany, Thursday morning at 8:15, and from there to All Saints Catholic Church, Homestead Street, Albany at 9:00. Relatives and friends are invited, and may call at the funeral home Wednesday from 4-7 p.m. Interment will be in St. Agnes Cemetery, Menands. The family suggests memorial contributions be sent to the All Saints Catholic Church Memorial Fund, 1168 Western Ave., Albany, NY 12203; or to the Mohawk Hudson Humane Society, 3 Oakland Ave., Menands, NY 12204. To leave a message of condolence for the family, send a sympathy card, or obtain directions to the funeral home, please visit www.HansFuneralHome.com. Click here to view Brad Coffey’s resting place in St. Agnes Cemetery, Menands, New York. Jo, my deepest sympathy as Brad passes to the other life. He was a wonderful man, and devoted husband. We’ll dearly miss him as I know you and your family will as well. Sorry we cannot.be in Albany. Our sincere sympathy and prayers go out to you. Brad was always good with conversation and we will miss him. God.bless. Jo, Jim and I are so saddened over the loss of Brad We were not aware he was ill. Please know you are in our hearts and thoughts at this time . Brad was a wonderful and thought ful person , always friendly and talkative . You and your family are in our prayers…. jo, so sorry to hear about brad. i remember by father taking us to casteton to visit when we were young – it was a highlight. another highlight i found you and brad on facebook just about a year ago. our prayers for you and the family. Jo, Brad will be missed. You can take comfort in knowing that he is not suffering and is in a better place now. I learn alot about collectibles in the years that I work the garage sale with him. It is going to seem strange not having him there this year. Jo, Please find comfort in our expression of sympathy and know you and your family are in our prayers. Brad was an interesting person and we always enjoyed conversation be it antiques, gardening, home projects or issues of the world and last but not least good places to eat. Tony will surely miss his friend and garage sale partner. Very sorry to hear about Brad. He was a class mate and we always enjoyed his dry humor.Being we moved away from Castleton have not seen as much of him as we would have liked. Our prayers are with you and your family. So sorry to hear of Brad’s passing.My deepest sympathy and prayers go out to you.I regret I am not at home now, but I assure you that you are in my thoughts. We are here, only to return back home to God.,Brad has accomplished this now.May he rest in peace. Jo, I am so sorry to hear about your loss. My thoughts and prayers are with you and your family. Jo, Please know the “angels to each other” women are with you at this difficult time. So sorry for your loss. The annual garage sale will not be the same without his expertise .